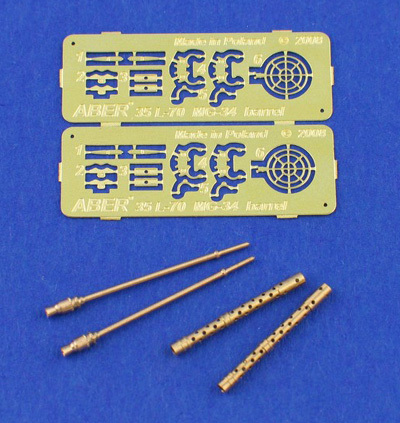 1/35 German MG-34 Barrel and Photo Etch Kit Discounts Apply ! 1/35 German MG-34 Barrel and Photo Etch Kit. Add some extra detail to your German Tiger or any German model tank. 2 MG-34 per kit and all metal parts.